Now here's a bride a groom with impeccable style! 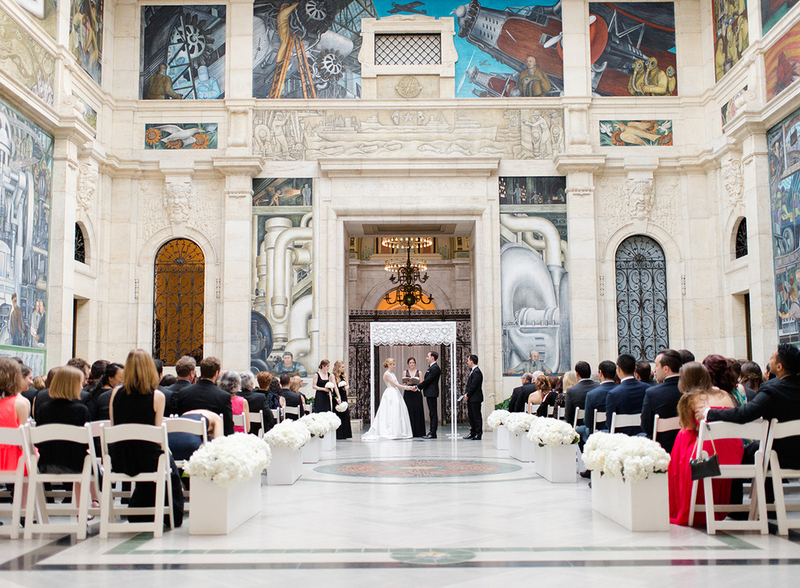 Emily and Max married at the Detroit Institute of Arts last Spring. 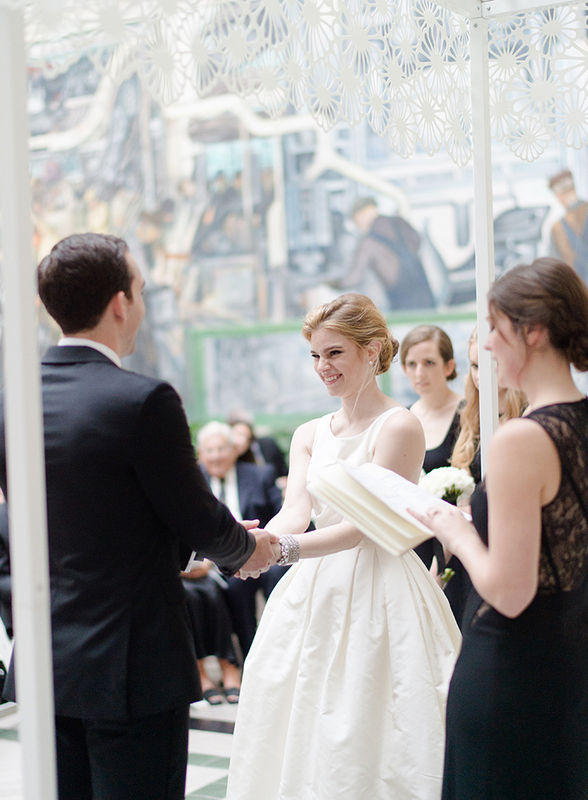 We shipped the Chrysanthemum Chuppah to the museum and a couple of Emily's relatives assembled it. It looks absolutely stunning in the grand hall of the museum. This wedding, including the first image here, was featured in the Winter 2016 issue of Martha Stewart Weddings. 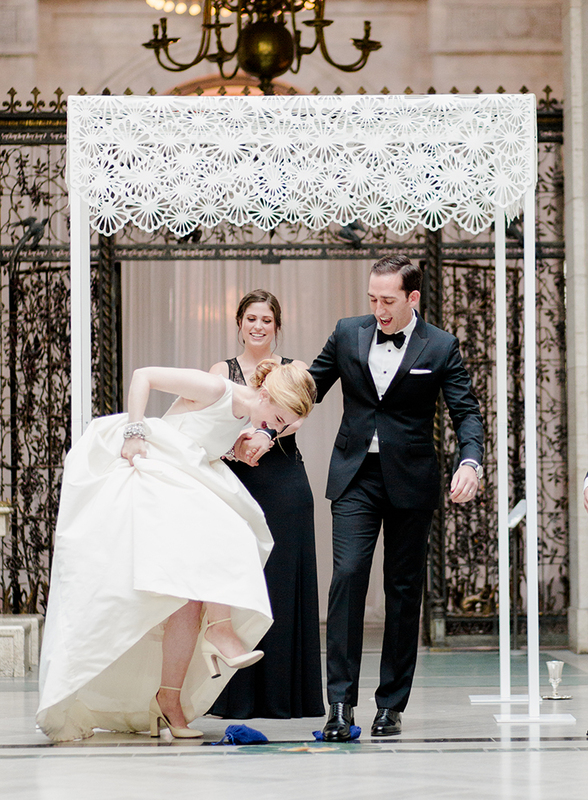 These wedding images by Rebecca Yale Photography are some of my all time favorites. Please visit her website to see the complete portfolio. Ready To Get Started? Say Hello!